More than 60 people were killed, 90 people injured and dozens of buildings destroyed when a strong earthquake struck Burma near the Thai border, officials from both countries said today. 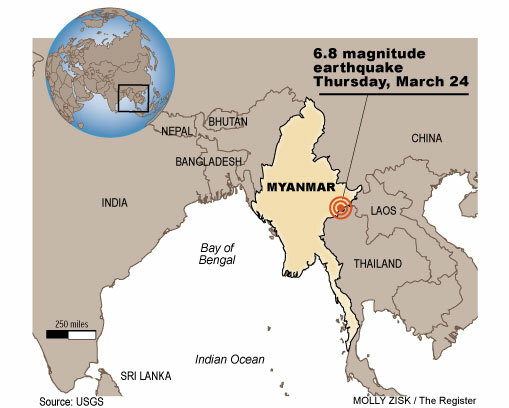 Tremors were felt as far away as Bangkok, almost 800 kilometres from the epicentre, Hanoi and parts of China during the earthquake yesterday, which the US Geological Survey (USGS) measured at magnitude 6.8. A Burma official said dozens of people were killed in two towns close to the epicentre. “The death toll of the quake has increased to more than 50 in Tarlay and Mine Lin townships,” said the official, who declined to be named. 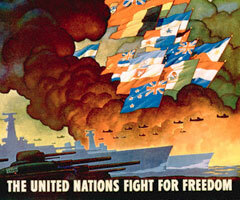 Nato has agreed to take command of enforcing the no-fly zone over Libya from the US. But Secretary General Anders Fogh Rasmussen made clear that other aspects of the operation would remain in the hands of the current coalition for now. Nato has been locked in dispute about whether to take charge of the mission to enforce a UN resolution. It is believed there are differences of opinion whether attacks on ground troops should form part of the action. Coalition raids on Libya are meanwhile continuing for a sixth consecutive night. Mr Rasmussen has insisted there is no split on the military handover, saying Nato is still considering whether to take on the “broader responsibility”. The handover of the no-fly mission could come as early as this weekend. Radioactive yellow rain that fell in Tokyo and surrounding areas last night caused panic amongst Japanese citizens and prompted a flood of phone calls to Japan’s Meteorological Agency this morning, with people concerned that they were being fed the same lies as victims of Chernobyl, who were told that yellow rain which fell over Russia and surrounding countries after the 1986 disaster was merely pollen, the same explanation now being offered by Japanese authorities. A dangerous drug-resistant bacteria has spread to patients in Southern California, according to a study by Los Angeles County public health officials. More than 350 cases of the Carbapenem-Resistant Klebsiella pneumoniae, or CRKP, have been reported at healthcare facilities in Los Angeles County, mostly among elderly patients at skilled-nursing and long-term care facilities, according to a study by Dr. Dawn Terashita, an epidemiologist with the Los Angeles County Department of Public Health.